Polypyrrole films were deposited by anodic electropolymerization on stainless steel substrates from aqueous pyrrole solutions containing sodium salicylate and tiron additives. The deposition yield was studied under galvanostatic conditions. The amount of the deposited material was varied by the variation of deposition time at a constant current density. SEM studies showed the formation of porous films with thicknesses in the range of 0–3 μm. 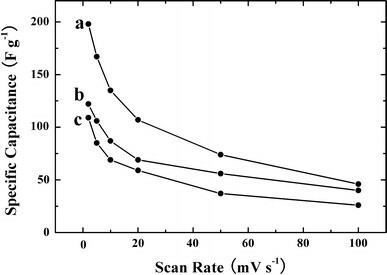 Cyclic voltammetry data for the films tested in 0.5 M Na2SO4 solutions showed capacitive behavior and high specific capacitance (SC) in a voltage window of 0.9 V. The films prepared from pyrrole solutions containing tiron showed better capacitive behavior compared to the films prepared from the solutions containing sodium salicylate. A highest SC of 254 F g−1 was observed for the sample with a specific mass of 89 μg cm−2 at a scan rate of 2 mV s−1. The SC decreased with an increasing film thickness and scan rate. 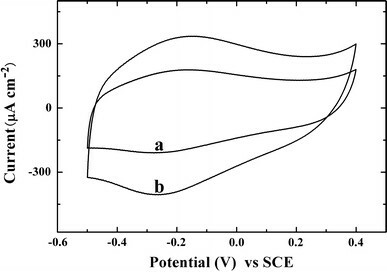 The results indicated that the polypyrrole films deposited on the stainless steel substrates by anodic electropolymerization can be used as electrodes for electrochemical supercapacitors (ES). The development of hybrid and electric vehicles requires the use of efficient ES , which provide load-levelling during starting, acceleration and braking. Polypyrrole is an attractive material for the fabrication of electrodes for ES due to its high SC and good electrical conductivity. Numerous investigations have been conducted with a goal of utilizing the high SC of polypyrrole in ES. Impressive progress has already been made in the fabrication and testing of polypyrrole films prepared by various methods, such as emulsion polymerization , layer-by-layer assembly , chemical  and electrochemical polymerization . The mechanism of charge storage in the polypyrrole electrodes has been investigated using quartz crystal microbalance method . Electrochemical polymerization is an attractive method for the fabrication of polypyrrole films. In this approach, anodic polymerization of polypyrrole can be achieved from aqueous monomer solutions containing anionic additives. 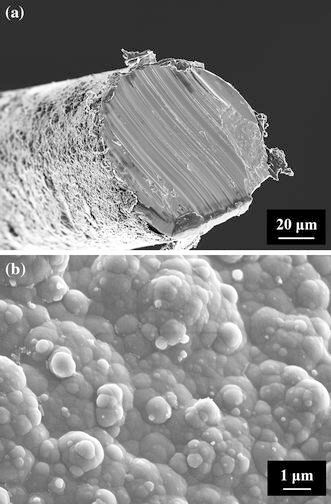 Various substrates were used for the anodic electropolymerization of polypyrrole films, including tantalum , lead , titanium , platinum , indium tin oxide [10, 11], porous carbon fibre paper , activated carbon , graphite  and carbon foam . The films exhibited excellent capacitive behavior with a SC as high as 400 F g−1 and good cycling stability during 10,000 cycles . However, the deposition of polypyrrole on low-cost stainless steel substrates presents difficulties related to anodic oxidation and dissolution of the substrates. The chemical and electrochemical passivation of the substrates for electropolymerization of polypyrrole usually results in the formation of insulating films with low capacitance. The formation of such films results in a reduced total capacitance of the electrodes. The polypyrrole films  deposited on the stainless steel substrate using p-toluene sulphonic acid as an additive showed a SC of ~100 F g−1. Recently, it was shown that salicylic acid and tiron are promising additives for the electrochemical polymerization of polypyrrole [17–19]. Strongly adherent films of polypyrrole were obtained on zinc-electroplated stainless steel using sodium salicylate as an additive . It was shown that sodium salicylate complexes the surface metal ions and prevents the dissolution of metallic substrates. However, such surface complexation does not prevent electropolymerization of the polypyrrole. Electropolymerization of polypyrrole on aluminum alloy was achieved using tiron . It was shown that the tiron acted as a charge transfer mediator, which reduced the deposition potential by nearly 500 mV compared to the deposition performed in the absence of mediator. The method enabled the formation of adherent films with good electrical conductivity. The results presented below indicated that sodium salicylate and tiron are efficient processing additives for the fabrication of polypyrrole films on stainless steel substrates by anodic electropolymerization. We presented experimental data on the capacitive behavior and microstructure of the films prepared by this method. Sodium salicylate, tiron and pyrrole were purchased from Aldrich. Electropolymerization was performed from an aqueous 0.25 M pyrrole solution containing 0.5 M sodium salicylate, or a 0.05 M pyrrole solution containing 0.005 M tiron. The deposition was performed galvanostatically at a current density of 1 mA cm−2. The deposition cell contained a stainless steel foil (50 mm × 30 mm × 0.1 mm) or wire (diameter 0.1 mm) as working electrode and a platinum foil as counter electrode. Deposition time was varied in the range of 1–10 min. Deposition was also performed on platinized silicon wafers containing 1,000 Å Pt layer. where Q is the charge obtained using half of the integrated area of the CV curve, m is the mass of the active material, and ΔV is the width of the potential window. Figure 1 shows the structures of sodium salicylate and tiron used in this study. Both materials were negatively charged in the aqueous solutions due to the dissociation of –COONa and –SO3Na groups. The materials served as anionic dopants, which were incorporated into the polymer to ensure the electrical neutrality of the growing film during the anodic polymerization of polypyrrole. 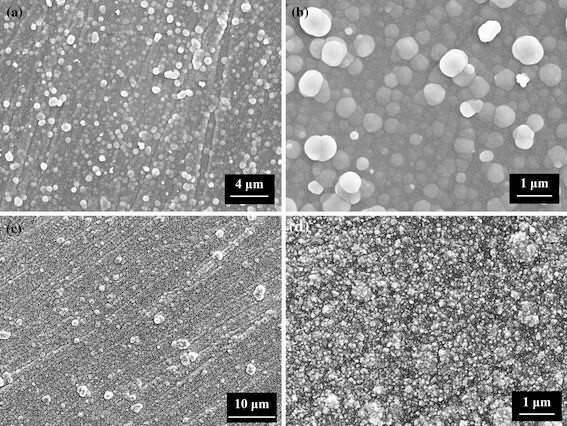 Anodic polymerization from aqueous pyrrole solutions containing sodium salicylate or tiron resulted in the formation of adherent polypyrrole films on stainless steel substrates. 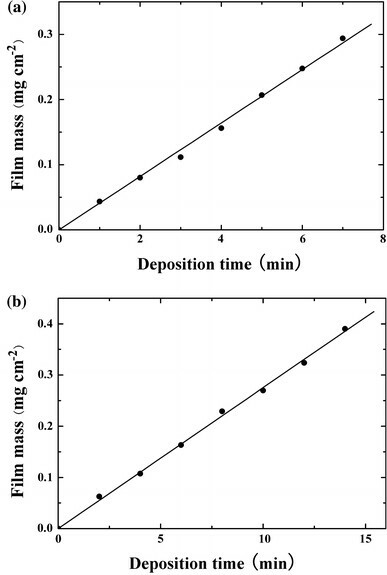 The film mass increased with increasing deposition time (Fig. 2a, 2b), indicating the formation of films of different thicknesses. Nearly linear dependences were obtained. Therefore, the amount of the deposited materials can be controlled by the variation of deposition time at a constant current density. This approach can be used for film formation on other conductive substrates, such as Pt. SEM investigations (Fig. 3) of the cross-sections of the films on platinized silicon wafers showed that the film thickness was varied in the range of 0–3 μm. The films exhibited surface roughness, which can be attributed to the formation of polypyrrole particles. The films prepared from the pyrrole solutions containing tiron exhibited lower surface roughness compared to those prepared from the solutions containing sodium salicylate. The SEM images showed the formation of porous films. The film porosity is beneficial for application in ES, as it improves the electrolyte access to the electrochemically active electrode material . Figure 4 shows surfaces of the films deposited on the stainless steel foils. Low-magnification images Fig. 4a, 4c showed that the films were crack free. The SEM image at a higher magnification, Fig. 4b, for the film prepared from the pyrrole solution containing sodium salicylate showed polypyrrole particles with a particle size of 0.1–0.5 μm. The film prepared from the solution containing tiron showed a much finer particle size (Fig. 4d). It is known from the literature  that the morphology of polypyrrole films depends on the nature of anionic additives. It is suggested that the lower roughness of the films prepared from solutions containing tiron can be attributed to the lower size of the polypyrrole particles. Anodic electropolymerization has been utilized for the film formation on substrates of complex shapes. As an example, Fig. 5a shows a polypyrrole coated stainless steel wire. The SEM image of the cross-section indicated a significant surface roughness. The SEM image of the wire surface at a higher magnification showed that the film consisted of relatively large particles with a particle size of about 1 μm. Therefore, the surface roughness of the film can be attributed to the relatively large particle size, which was comparable with the film thickness. The films prepared from the pyrrole solutions containing tiron showed a better uniformity and lower surface roughness, which can be attributed to a lower particle size. 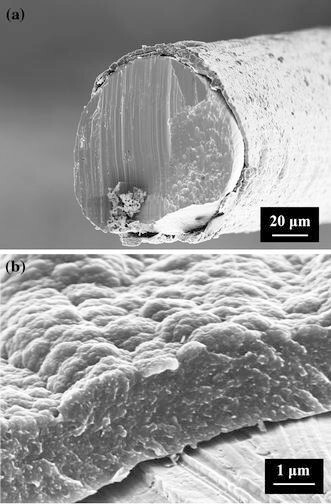 Figure 6a, 6b shows typical images of polypyrrole films deposited on stainless steel wires from solutions containing tiron. The thickness of the films on the stainless steel wires was in the range of 0–3 μm. The electrochemical properties of the films were studied in 0.5 M Na2SO4 solutions using CV. The films showed capacitive behavior in the voltage window of 0.9 V. However, the CVs for the films prepared from the solutions containing sodium salicylate deviated significantly from the ideal box shape (Fig. 7). The films prepared from the solutions containing tiron showed better capacitive behavior and exhibited box shape CVs (Fig. 8). 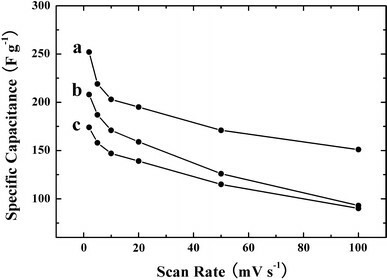 Figure 9 shows SC versus scan rate for the films of different thickness prepared from the pyrrole solutions containing sodium salicylate. The films showed SC in the range of 100–200 F g−1 at a scan rate of 2 mV s−1. The SC decreased with increasing film thickness and increasing scan rate in the range of 2–100 mVs−1. Such decrease was attributed to the electrolyte diffusion in the pores of polypyrrole films. Figure 10 shows SC for films of different thickness prepared from the pyrrole solutions containing tiron. The highest SC of 254 F g−1 was observed for the 89 μm cm−2 sample at a scan rate of 2 mV s−1. The SC decreased with increasing film thickness and increasing scan rate in the range of 2–100 mV s−1. The films prepared from the solutions containing tiron showed higher SC compared to the films of the same mass prepared from solutions containing sodium salicylate. It is suggested that lower particle size of the polymer particles prepared from the solution containing tiron resulted in larger surface area of the particles and in better access of the electrolyte to the active material. As a result, the films prepared from the solutions containing tiron showed higher specific capacitance compared to the films prepared from the solutions containing sodium salicylate. However, the difference in the electrochemical behavior can also result from the different nature of the anionic groups of the additives. The results of this investigation indicated that polypyrrole films were successfully deposited on stainless steel substrates from aqueous solutions of pyrrole, containing sodium salicylate and tiron additives. The films exhibited capacitive behavior and can be utilized for the fabrication of electrodes of ES using low-cost stainless steel current collectors. It is suggested that sodium salicylate and tiron adsorbed on the stainless steel substrates and passivated the surface of the substrates. The adsorption mechanism is related to chelating of surface metal ions . The difference in the morphology and electrochemical behavior of the films prepared from solutions containing different additives can result from the properties of different anionic groups of salicylic acid and tiron. Anodic electropolymerization method has been developed for the fabrication of polypyrrole films on stainless steel substrates for application in ES. The method is based on the use of sodium salicylate and tiron anionic additives, which were incorporated into the polymer to ensure the electrical neutrality of the growing film and passivated the surface of the stainless steel substrates. The deposition yield can be controlled by the variation of deposition time at a constant current density. 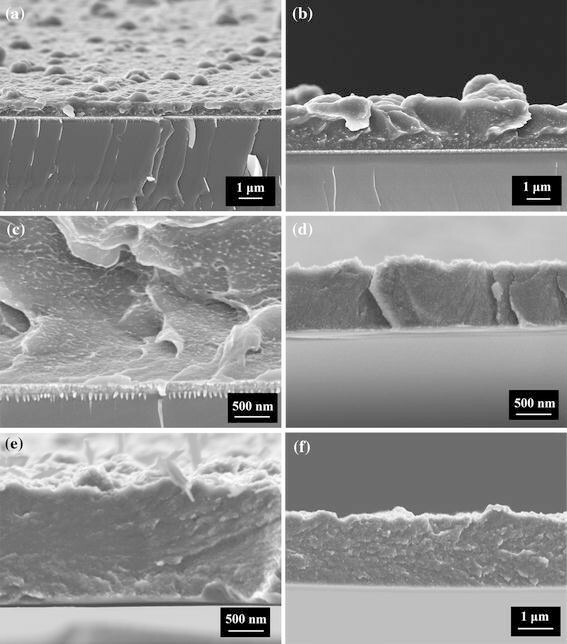 SEM studies showed the formation of porous films with film thickness in the range of 0–3 μm. The film morphology is influenced by the additives. The films prepared using tiron additive showed lower particles size and improved uniformity compared to the films prepared using sodium salicylate. 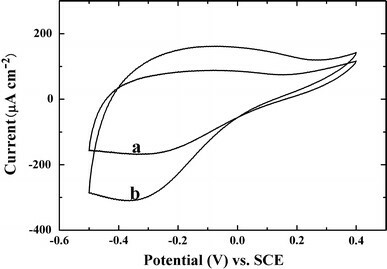 CV data for the films tested in the 0.5M Na2SO4 solutions showed capacitive behavior and a high SC in the voltage window of 0.9 V. The films deposited from pyrrole solutions containing tiron showed better capacitive behavior compared to those deposited from the solutions containing sodium salicylate additive. A highest SC of 254 F g−1 was observed for the sample with a specific mass of 89 μg cm−2 at a scan rate of 2 mV s−1. The SC decreased with an increasing film thickness and scan rate. The results indicate that the polypyrrole films deposited on stainless steel substrates by anodic electropolymerization using tiron additive are promising electrode materials for ES.